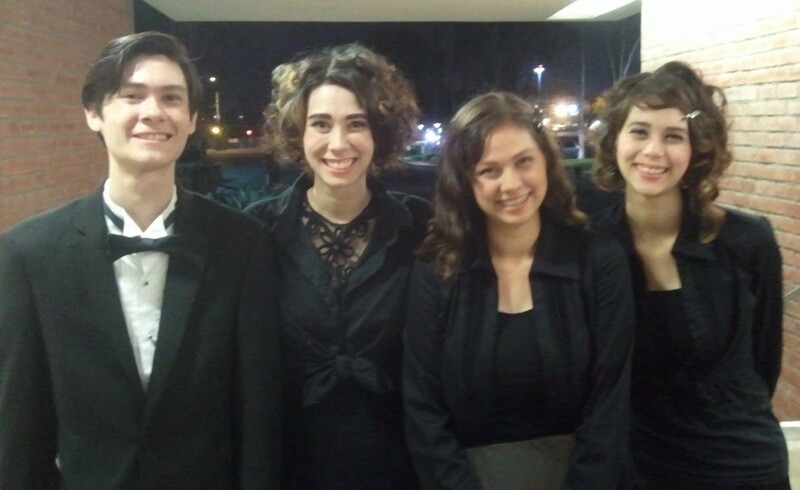 Tonight was the concert debut for Victoria and Jeffrey. 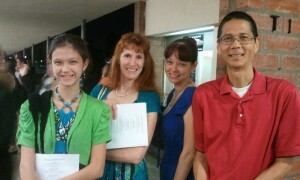 They joined Sarah and Joanna in the Orange Coast College Choir to sing “Hallelujah” from The Mount Of Olives. 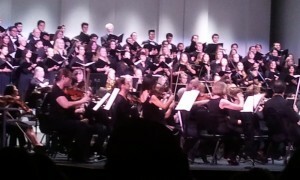 They sang accompanied by the OCC Symphony Orchestra. 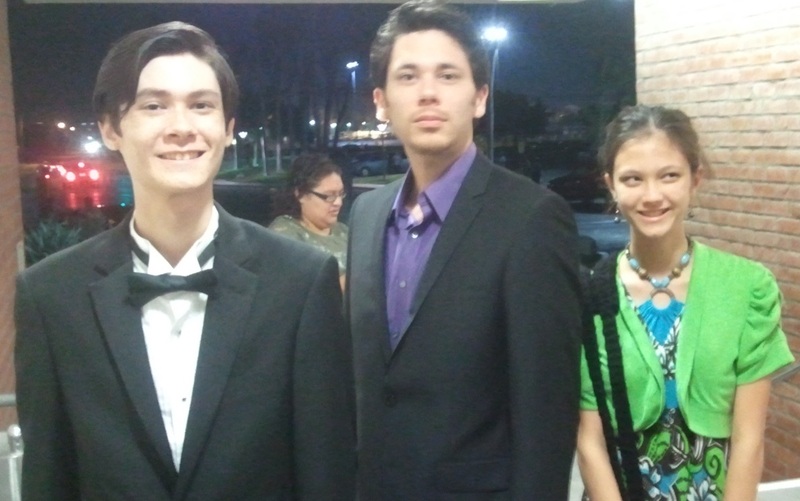 The concert also featured two other Beethoven pieces: his Piano Concerto No. 5 in E-flat major, popularly known as “The Emperor Concerto, and his Egmont Overture. 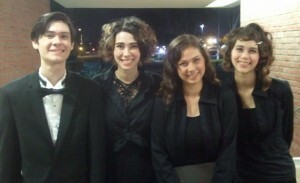 Jeffrey, Sarah, Victoria, and Joanna after the Beethoven Concert. Click photo for full size. Jeffrey is in the back row, third from the left. Joanna is two rows in front of Jeffrey; the microphone is partially covering her head. Victoria and Sarah are immediately to the right of Joanna. OCC Choir and Symphony Orchestra Performing Hallelujah. Click photo for full size. Lizzie, Jeri, Nicole, and Tim after the Beethoven Concert. Click photo for full size. 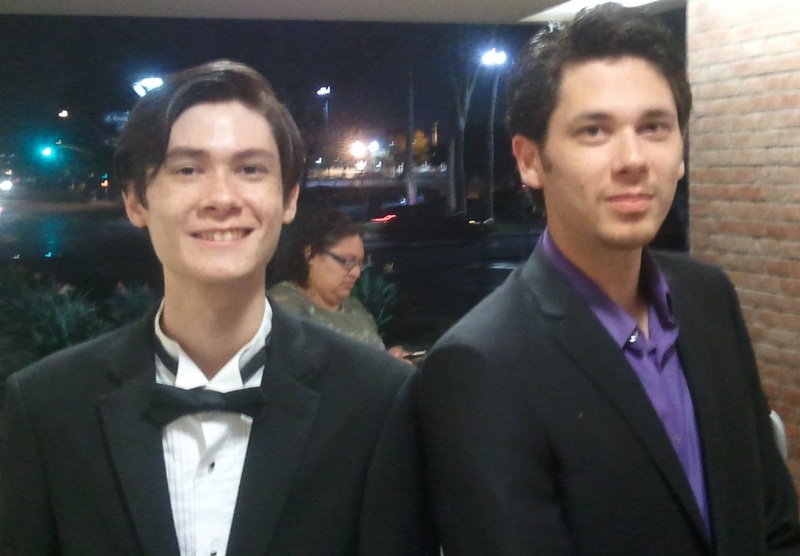 Here’s Jeffrey wearing his new tuxedo (required for male choir members) and Jason wearing his new suit (which he bought in order to usher in the Stevens’s weddings). Jeffrey and Jason after the Beethoven Concert. Click photo for full size. Jeffrey, Jason, and Lizzie. Click photo for full size.